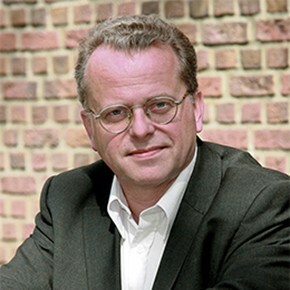 Luuk van der Wielen is distinguished Professor for Biobased Economy as well as full professor and group leader of Bioprocess Engineering at the Department of Biotechnology of TU Delft. The activities of the section have resulted in several spin-off companies. His research interests include thermodynamics for bioprocesses, bio-separation/-conversion technologies, multifunctional bioreactors and miniaturized (‘on-chip’), high-throughput technology for rapid process development, as well as analysis and development of large scale and distributed, low carbon bio-renewables production systems, and their societal impacts. Since 2004 he has been director of BE-Basic, the globally operating private-public research organisation for Biobased Sustainable Industrial Chemistry & Energy. This consortium, with 40 academic and industrial partners, is based in The Netherlands with hubs in Southeast Asia and Brazil, and with a cumulative budget exceeding 250 M€. Process chromatography on several scales, crystallization and precipitation processes. In-situ product recovery as well as miniaturized (‘on-chip’) and computational, high-throughput technology for rapid process development. Process integration for bioenergy, biofuels and biochemicals manufacturing. Chilamkurthi, S, Mendez Sevillano, D, Albers, L.H.G., Sahoo, MR, Verheijen, PJT, Wielen, LAM van der, Hollander, JL den & Ottens, M (2014). Thermodynamic description of peptide adsorption on mixed-mode resins. Journal of Chromatography A, 1341, 41-49. Heeres, AS, Picone, CSF, Wielen, LAM van der, Cunha, RL & Cuellar, MC (2014). Microbial advanced biofuel production: overcoming emulsification challenges for large-scale operation . Trends in Biotechnology, 32 (4), 221-229. Lopez Garzon, CS, Wielen, LAM van der & Straathof, AJJ (2014). Green upgrading of succinate using dimethyl carbonate for a better integration with fermentative production. Chemical Engineering Journal, 235, 52-60. Mendez Sevillano, D, Wielen, LAM van der, Hooshyar, N & Ottens, M (2014). MPP-UNIFAC, a predictive activity coefficient model for polyphenols. Fluid Phase Equilibria, 384, 82-88. Mendez Sevillano, D, Jankowiak, L, Gaalen, LT van, Wielen, LAM van der, Hooshyar, N, Goot, A.J. van der & Ottens, M (2014). Mechanism of isoflavone adsorption from okara extracts onto food-grade resins. Industrial and Engineering Chemistry Research, 53(39), 15245-15252.